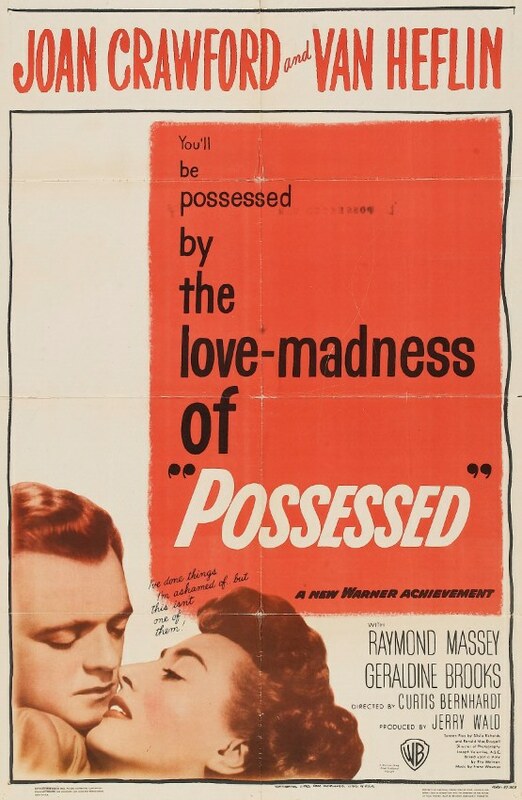 If you like to see Joan Crawford get her crazy on as much as I do, then you’ll love Possessed. 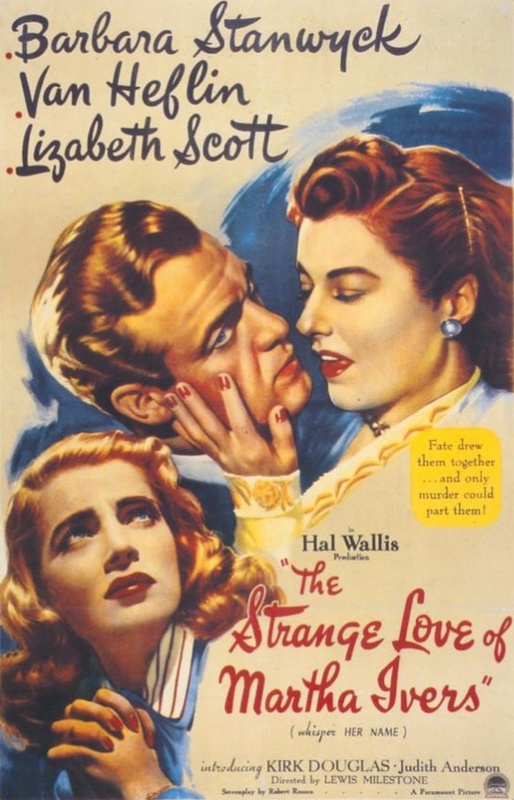 The character Crawford plays, Louise Howell, is taken by ambulance to the psychopathic ward of the Los Angeles Municipal Hospital, where she is cared for by Dr. Willard (Stanley Ridges). He gives her narcosynthesis to lift her out of her catatonic stupor, and the tale of what brought Louise to this place is told through a haze of flashbacks and psychobabble. Louise was a nurse in the employ of wealthy Dean Graham (Raymond Massey). Her job was to care for Graham’s infirm wife. 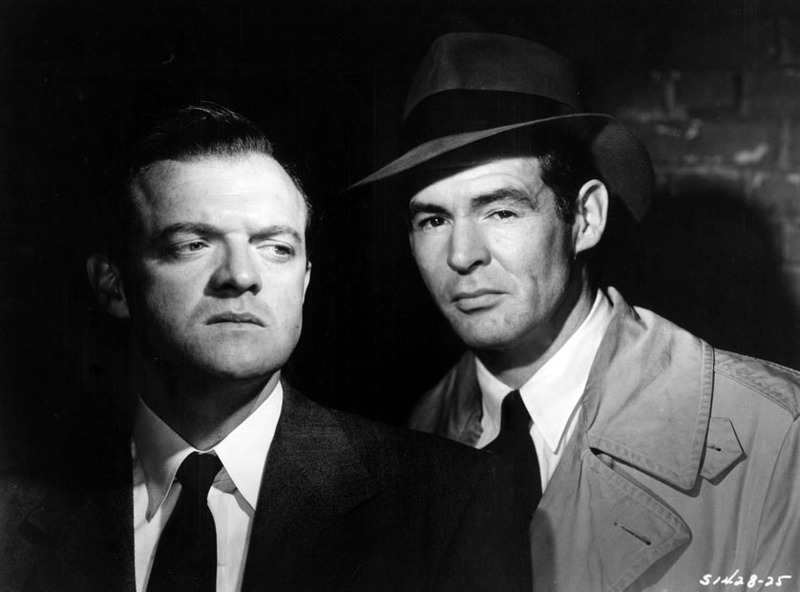 After a brief love affair with an average-looking but very charming architect named David Sutton (Van Heflin), Louise became hopelessly attached to him. When David told her that he wasn’t the marrying kind, and that he had to break things off with her, it began her spiral into madness. She was convinced that there was another woman, but he assured her there wasn’t. “Louise, don’t hang onto me. You’ll get hurt,” he said in exasperation, and his words were prescient. The straitlaced, self-possessed Louise began to unravel. Despite its sometimes overheated story and dialogue, Possessed is a stylistic feast. 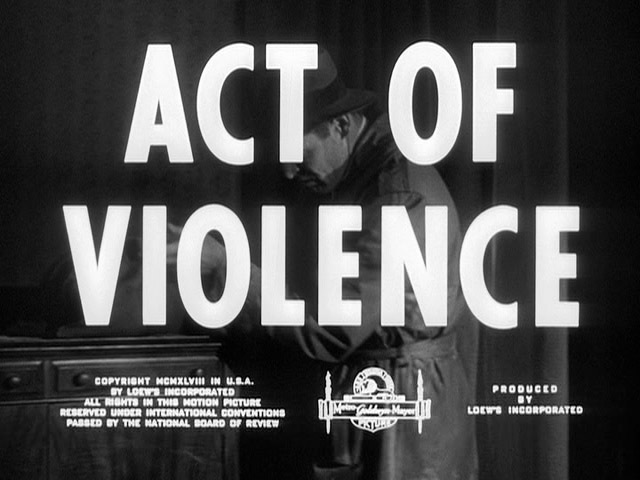 Franz Waxman’s musical score perfectly underscores every one of Joan Crawford’s scenes, and Joseph A. Valentine’s cinematography visually expresses her madness. There are recurring visual motifs, most notably water. For instance, when David gets into his boat and leaves Louise sobbing on the dock, the churning water symbolizes her inner turmoil. The doctors hovering over Louise’s bed discuss her case, then the scene cuts to a shot of the carafe of water by her hospital bed that dissolves into a shot of the water around Dean Graham’s home. When Louise stops the little pendulum of her bedside clock from ticking because it’s “driving her crazy” the sound is replaced by the sound of dripping water outside her open window. She slams the window shut, trying to control her madness. Possessed could never be called a realistic film. But that’s not its goal. It subjectively depicts an unraveling psyche, and isn’t afraid to veer into territory that sometimes seems as if it would be more at home in a horror movie than in a melodrama. 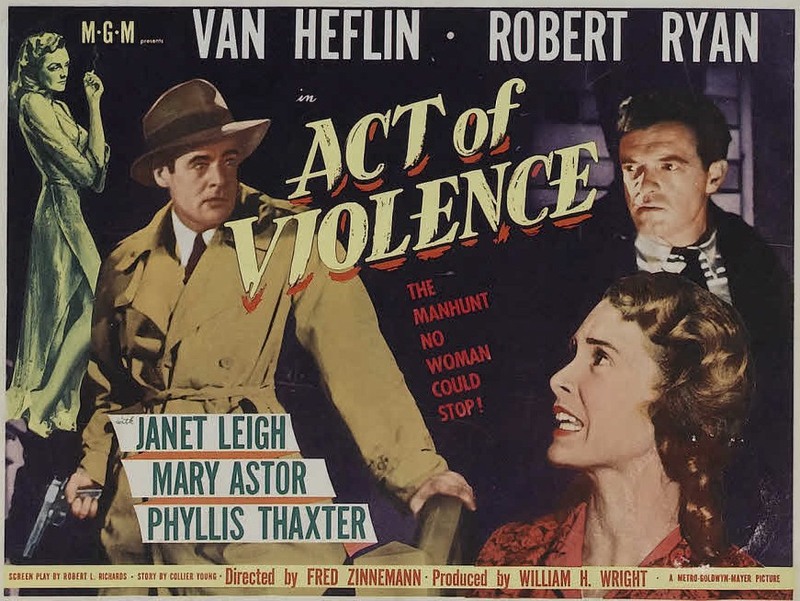 Posted in 1947, July 1947 and tagged Curtis Bernhardt, Film Noir, Franz Waxman, Geraldine Brooks, Joan Crawford, Joseph A. Valentine, Raymond Massey, Stanley Ridges, Van Heflin, Warner Bros.. Bookmark the permalink.